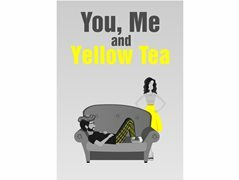 Looking for an actress to play the lead in a short film called You, Me, and Yellow Tea. It's about a girl named Sophie that believes she's been stood up for a blind date via a text saying he's "too sick". She goes to confront him, only to find a sick man on the couch hallucinating from the tea he's been drinking. Shooting will take place early May. It will be a two-day shoot. Non-paying, but food will be provided. Sophie is a tough girl who won't let someone disrespect her, but we later learn she's the type of person who will quickly admit when she's made a mistake.